T he Topsham Public Library has been selected by the Maine Humanities Council to offer “Let’s Talk About It”, a free reading and discussion group with copies of books available through the library. This program is provided by the Maine Humanities Council’s Maine Center for the Book in cooperation with the Maine State Library. The series, Re-Imagining the American Family, begins 6pm, Thursday, November 1 at the Topsham Public Library in Topsham, and continues for 5 sessions, through March 14. Books to be read and discussed in this series include: Hillbilly Elegy by J.D. Vance, Fun Home by Alison Bechdel, Can’t We Talk About Something More Pleasant? by Roz Chast, What the Living Do by Marie Howe and Brothers and Keepers by John Edgar Wideman. A scholar provided by the Maine Humanities Council will facilitate the discussions. Rebecca Nisetich, PhD of USM will facilitate this group. Books for the program are available for loan at the library. Please call the library at (207) 725-1727 to register and come in to pick up the first book of the series. You may have noticed lately that Dave has not been behind the circulation desk as much as usual. As well as Volunteer Coordinator, and Suggestion Source Extraordinaire, he is now adding Topsham Public Library Development Coordinator to his list of duties. As you know, if you have ever engaged with Dave, he strives to do his best to provide quick, pleasant, and accurate service. That’s exactly what he wants to do as Development Coordinator: to continue to do what we do, and strive to do it better. As well as building those bridges with businesses, he wants to maintain and grow the relationship with our patrons and volunteers. Dave’s biggest concern is that he will lose touch with our patrons. He enjoys working at the circulation desk and getting to know you. He wants those bonds to remain, so do not hesitate to speak to Dave about any concerns or ideas you have or about things you need or to tell him what a great job Topsham Public Library is doing. It’s Banned Books Week! Every year the American Library Association promotes a campaign to raise awareness of the freedom we have to read what we want to read. In the past, Topsham Public Library has highlighted banned books that we like to read or that have been challenged, but this year, I thought it would be nice to share a brief history of how the Banned Books Week Campaign got its start. The following is from the American Libraries Magazine article written in 2017 titled “50 Years of Intellectual Freedom,” written by Office for Intellectual Freedom (OIF) staff celebrating the office’s anniversary. “Banned Books Week was launched in the 1980s, a time of increased challenges, organized protests, and the Island Trees School District v. Pico (1982) Supreme Court case, which ruled that school officials can’t ban books in libraries simply because of their content. Every time you visit Topsham Public Library you are practicing your right to read what you want. Stop on by and pick up your next read! Castle Rock. Emma gets practically giddy when it is mentioned, and then when you get her together with Dale and Lynne (outside of work time, of course) the chatter is non-stop. The three of them are either talking all things Castle Rock or one or the other is shushing the others because they are an episode or two behind. If you’re not familiar with Castle Rock, as I wasn’t, it is a new horror show on Hulu based on a fictitious town in Maine that appears in a variety of Stephen King books. A number of other Stephen King’s works have been adapted for television that are set fictitious Maine towns. They include: The Dead Zone, Haven, The Mist, Storm of the Century, and Under the Dome. This got us thinking about other TV shows that are set in Maine. Do you remember Murder, She Wrote with Angela Lansbury? Set in Cabot Cove, Maine, the plot involved an author, Jessica Fletcher (played by Lansbury), who happens to be around whenever someone is murdered. It aired for twelve seasons on CBS and Lansbury received four Golden Globe Awards for her role in the series. More recently, the show Once Upon A Time which aired on ABC from 2011-2018, is set in Storybrooke, Maine. The premise of this show is that fairy tale and folk tale characters are confined to present-day Storybrooke due to a curse cast on them by the Evil Queen Regina. They are exiled and their memories lost until a young boy, with the help of his mother (who may or may not be the daughter of Snow White and Prince Charming), set things in motion to free them all. There’s also Olive Kitteridge which is a four-hour mini-series based on the book by the same name by Elizabeth Strout. Set in Crosby, Maine, this follows the life of Olive, a retired schoolteacher who is married to the man who runs the local pharmacy. They have one child, a troubled son Christopher, who is a podiatrist. And we can’t forget Dark Shadows that aired on weekdays from 1966-1971. It was a gothic soap opera that was set in Collinsport, Maine and followed the lives of the wealthy Collins family. I haven’t seen all these shows, but it’s interesting to look at how Maine is portrayed. 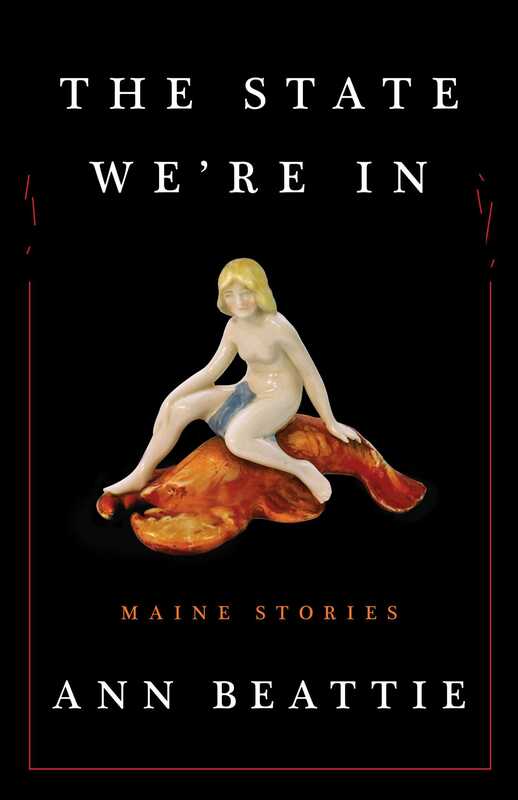 Is the portrayal of Maine accurate? Has the way “Hollywood” portrays Maine evolved? It’s interesting to see how Maine is projected on audiences that might not know anything about us. Other trends in summer reading assignments seem to be 1984 and Animal Farm both by George Orwell, Bell Jar by Sylvia Plath, Slaughterhouse-five by Kurt Vonnegut, and, of course, Lord of the Flies by William Golding. Those are all signs that students are back at it. Watching these students cramming in those summer assignments causes me to reminisce over my high school reading assignments. I think my favorite book that I read in all my years of high school is another of Vonnegut’s work – Player Piano. It was assigned by Mrs. Maguire my senior year. That book has stayed with me all this time and I think about it often. In the book, Paul Proteus must find a way to live in a world dominated by a supercomputer and run by machines. I also remember studying Samuel Coleridge’s Rime of the Ancient Mariner in Mrs. Baker’s class. Actually, I don’t remember the text as much as I remember her playing Iron Maiden’s version in class. Dale’s favorite was assigned by Mr. Palmer, and it was The Things They Carried by Tim O’Brien which is about the Vietnam War. A Christmas Memory by Truman Capote is Dave’s favorite book that he was assigned to read in high school. This book is about a memory of a Christmas shared between a seven-year-old boy and sixty year old woman. Linda read Gulliver’s Travels by Jonathan Swift. This story tells of journeys by a ship’s surgeon Lemuel Gulliver, who encounters strange lands and strange beings. Emma did not connect with much of the assigned reading until about age 16 when, through assigned reading, she discovered the poetry of Samuel Coleridge (and in particular, Kubla Khan), Shakespeare’s plays (especially Macbeth, Antony and Cleopatra and A Midsummer’s Night’s Dream) and the novel Emma by Jane Austen which is a humorous look at match-making in nineteenth century England. Mr. Kingdon assigned The Chocolate War by Robert Cormier in his English class. That’s how Cyndi came to read it. She remembers that book clearly because it was the first book she read where the bad guy wins at the end. She loved it for the unexpected rush of surprise as she read the last few pages. She went on to read I Am the Cheese, also by Cormier, immediately after she finished The Chocolate War. What did you read in high school? Did you love it or hate it? Does a particular assigned book hover in the back of your mind? Sometimes it’s hard to enjoy a book you have to read, but there are times when those books stick with you for the rest of your life.